Name: Matteo Kevin Cullen. Club: Oman GAA. 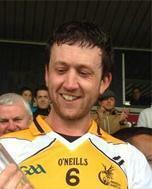 Matteo has won seven county medals (six for Gaelic & one for hurling) at underage level. He played in All-Ireland Colleges final for NUI Galway in 1995; unfortunately they lost the game, despite his goal! And last but not least, he was selected as a midfielder on the 2013-14 Middle East GAA Intermediate All-Star team, following his first season with Oman GAA. Matteoâ€™s desire, both for him and his team, is to constantly improve. 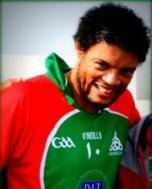 He is currently focused on winning tournaments and more medals with Oman GAA.